From Belfast, Northern Ireland. Fellowshipped at various Christian Brethren assemblies. 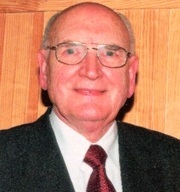 A missionary to Malaysia, who also taught in United Kingdom, USA, Canada, Australia, China, and Japan. He said in one of his messages in Malaysia, that he had been in fellowship with that assembly longer than anyone else. Click a link below to listen to a recording of Tom. A website to provide Christian Brethren Bible teaching, encourage Christians and bless all.